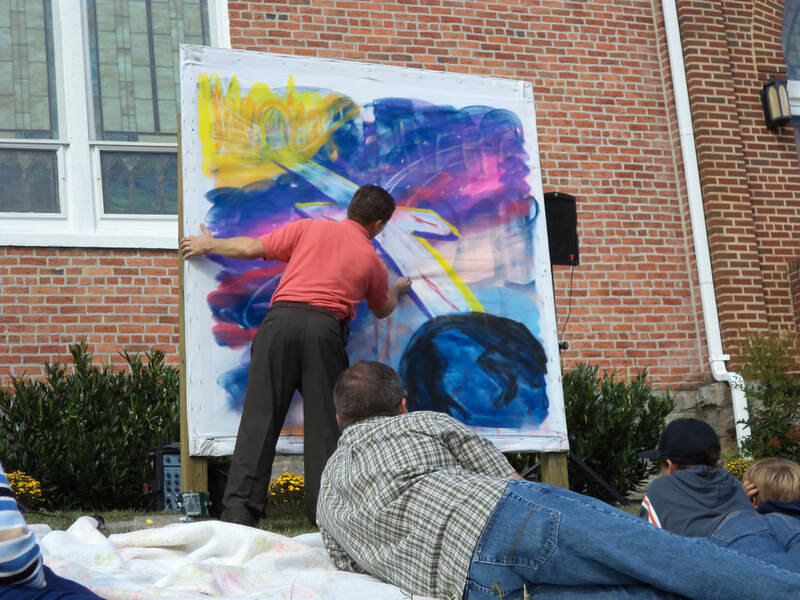 Art attracts all ages and consistently draws better attendance to hear the Gospel. 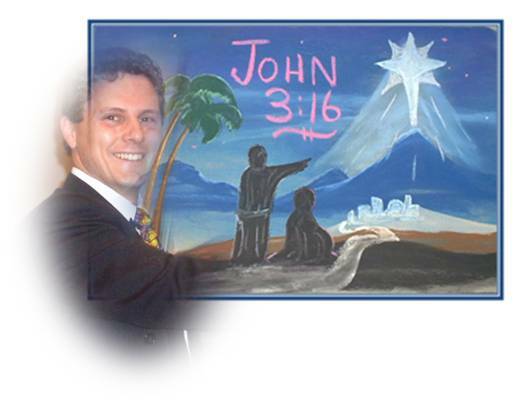 People remember the Bible-strong messages illustrated on the large format chalk easels. 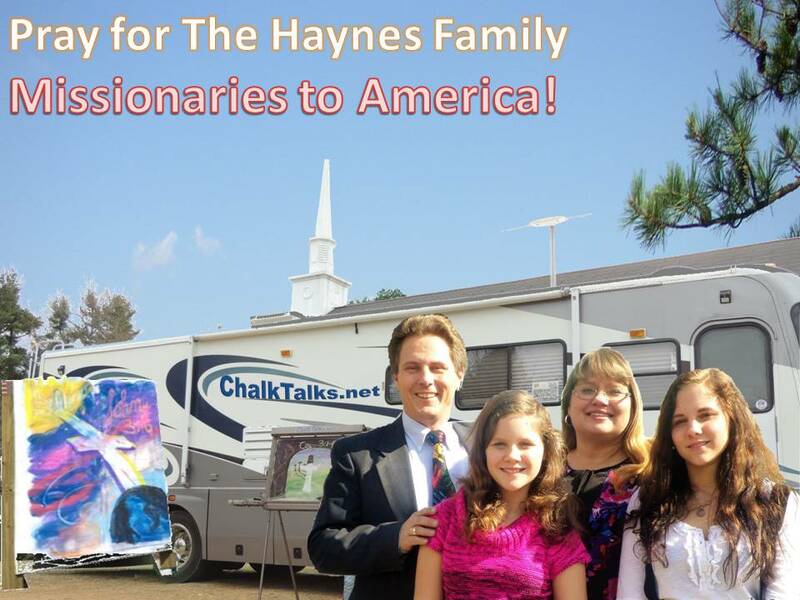 The Haynes Family teaches and encourages church leadership and appeal to all ages. 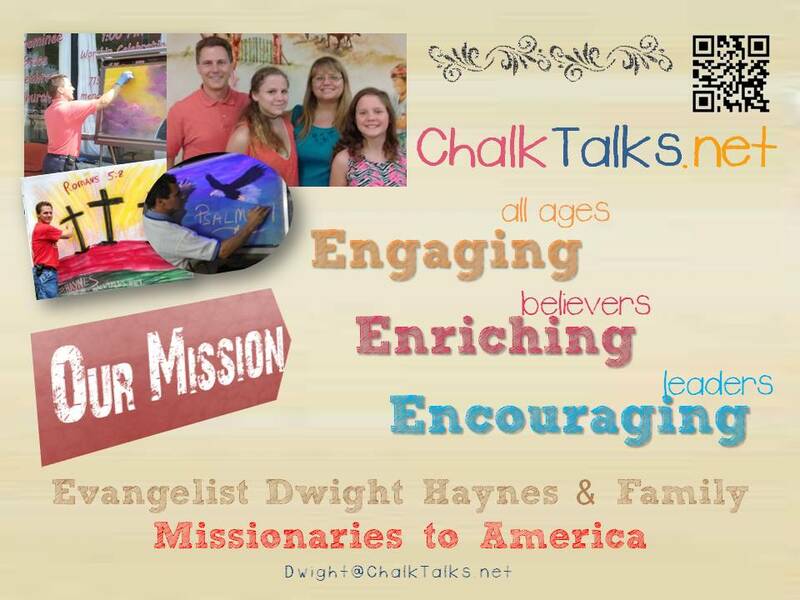 Get more information sent directly to your inbox, EMAIL Dwight@ChalkTalks.net. 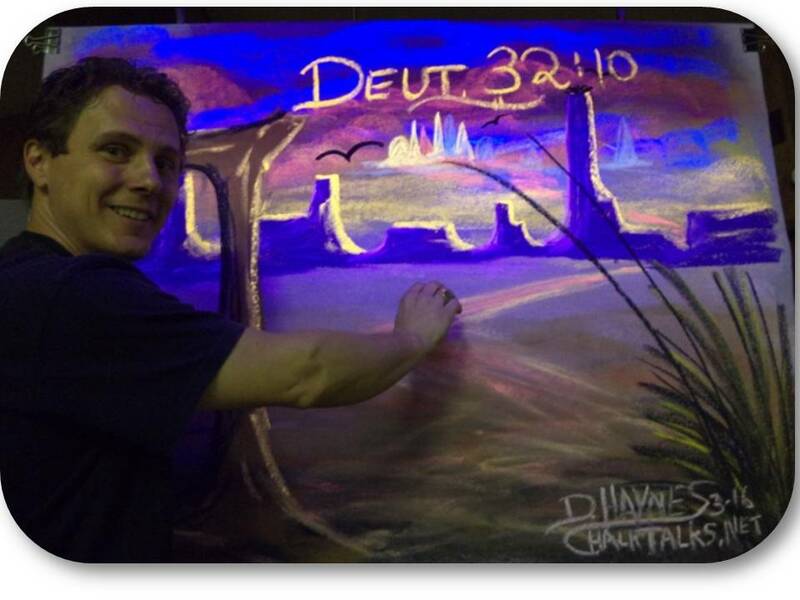 The Chalk Talks evangelism ministry centers around coming to your event to draw a Scripture-based theme on canvas to a live audience. 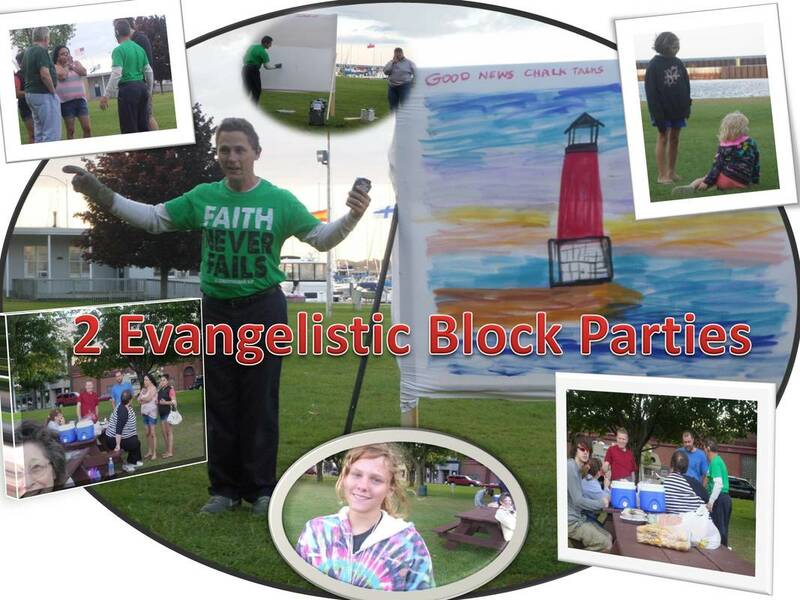 The opportunity to minister through this method creates an environment for Engaging all ages, Enriching believers, and Encouraging leaders in the context of the local church. 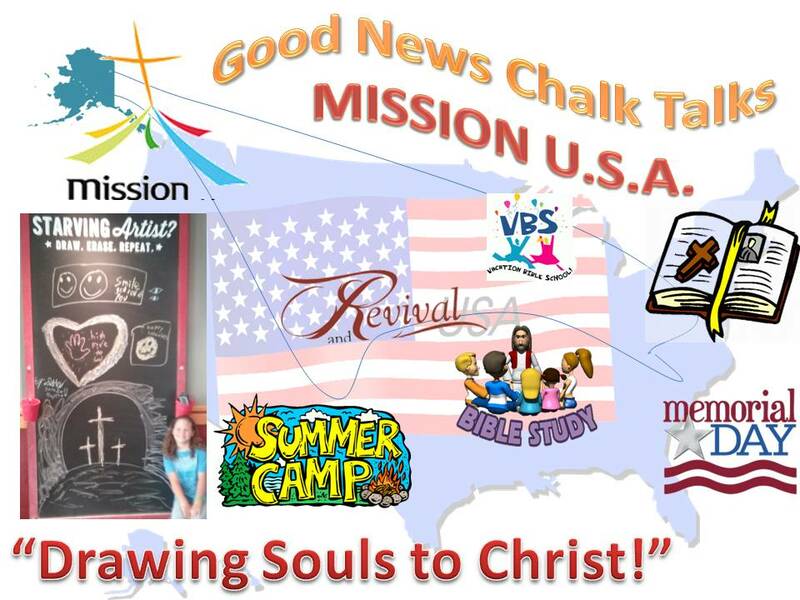 Scheduling is easy, just contact Rev. Dwight Haynes to discuss possible dates. 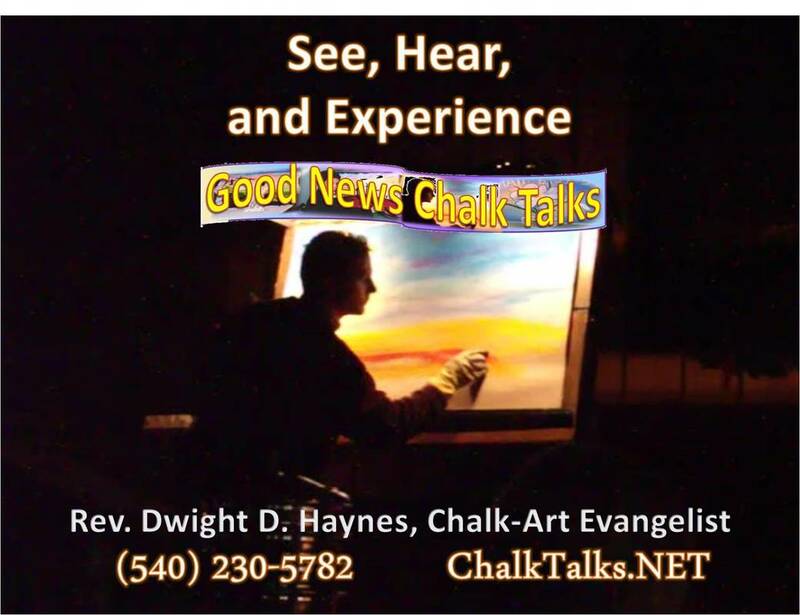 Email Dwight@ChalkTalks.net or Call 540-230-5782. The Haynes Family lives by faith in God, with their livelihood coming from caring donors and love-offerings for their ministry. 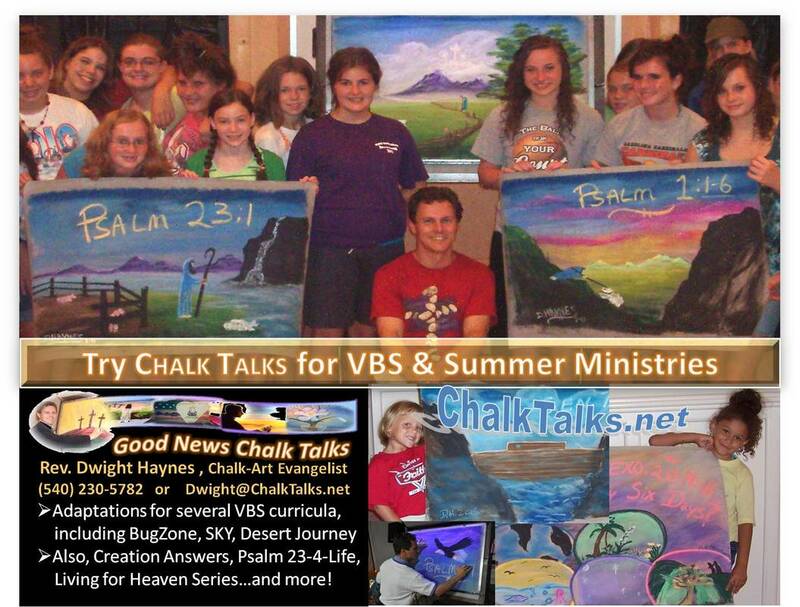 What does Chalk Talks COST? The Haynes Family requests that the expenses for a meeting be covered, as much as the organization is able, for travel at the current IRS Standard Mileage Rate, allowances for meals during travel, and for art supplies/equipment. 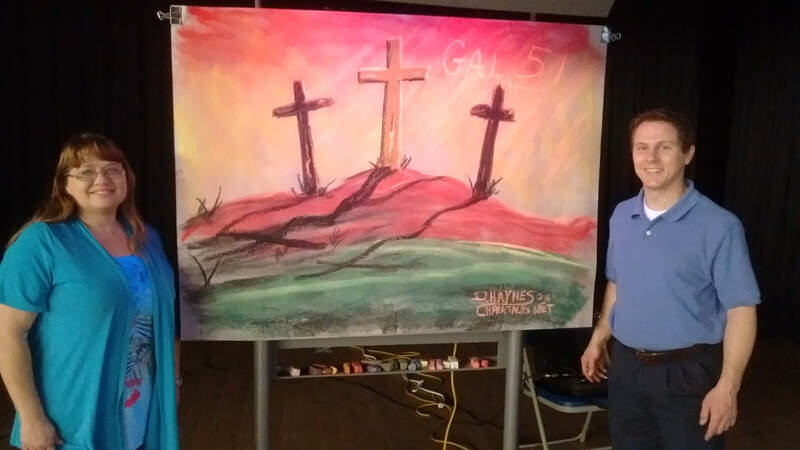 In addition to expenses, the Haynes Family is content with a love offering and/or honorarium appropriate to the time and type of ministry provided.